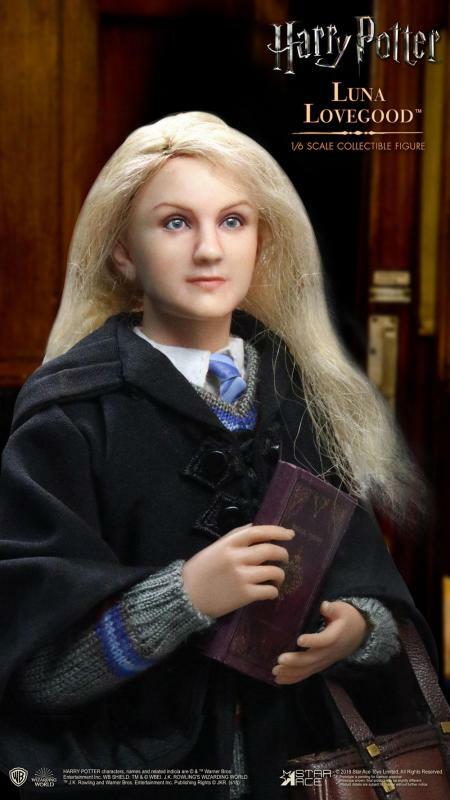 Soška Luna Lovegood vytvořená podle filmové předlohy the Harry Potter and the Sorcerer s Stone vycházející z MY FAVOURITE MOVIE SERIES je vysoká cca 26 cm s detailním zpracováním. 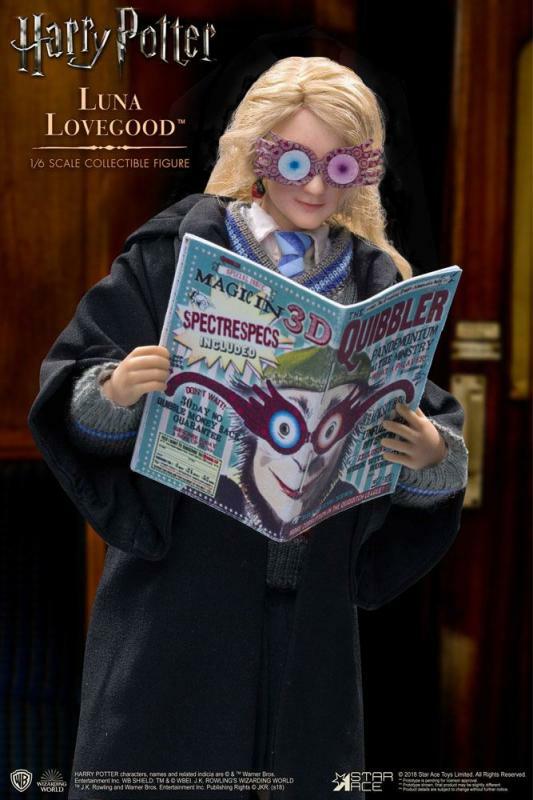 One of the most memorable and beloved characters in the Harry Potter series is the seemingly "looney" Luna Lovegood, whose wisdom is sometimes hidden behind her eccentric demeanor. 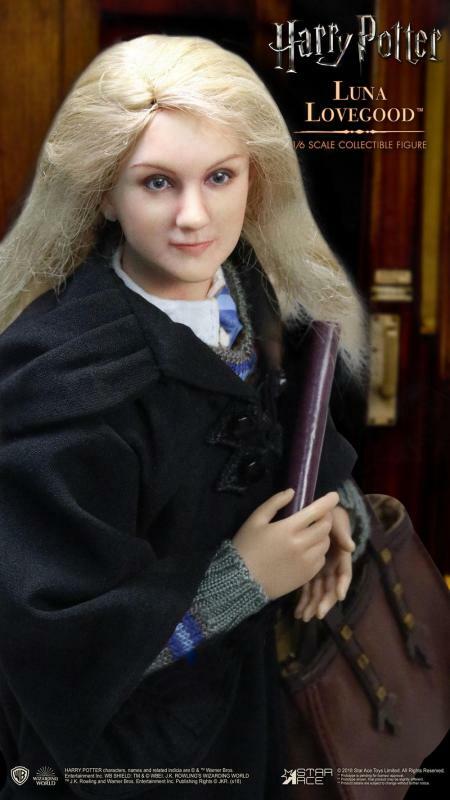 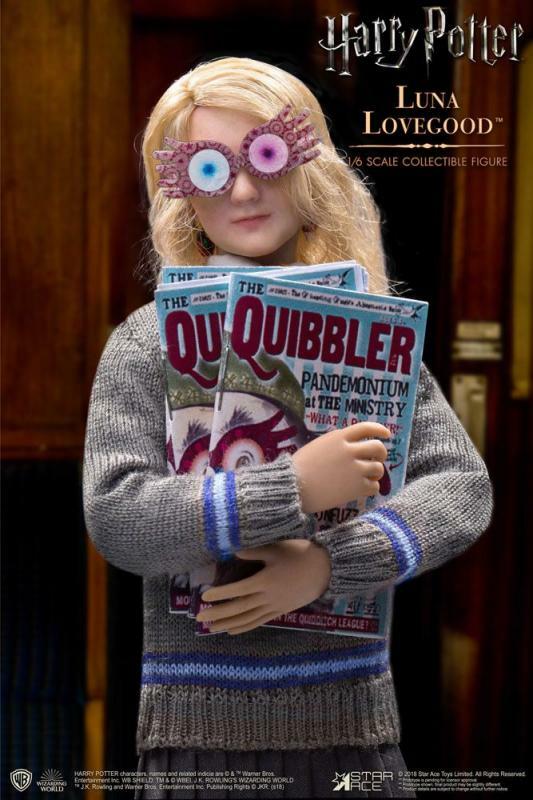 The 1:6th scale figure of young Luna features her in house Ravenclaw school uniform, and includes her Spectrespecs, issues of the Quibbler, dirigible plum earrings, Butterbeer cork necklace, and Polyjuice potion vial. 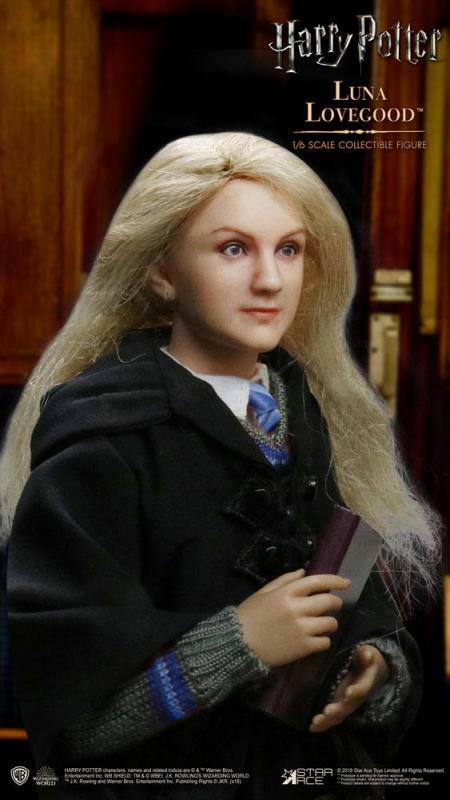 The 1/6th scale Luna Lovegood (Child) collectible figure features: - 1/6th scale body, approximately 26 cm tall with 30 points of articulation - Fully realized authentic likeness of Luna Lovegood in the movie "Harry Potter and the Sorcerer s Stone" with accurate facial expression, sewn hair style and detailed skin texture. 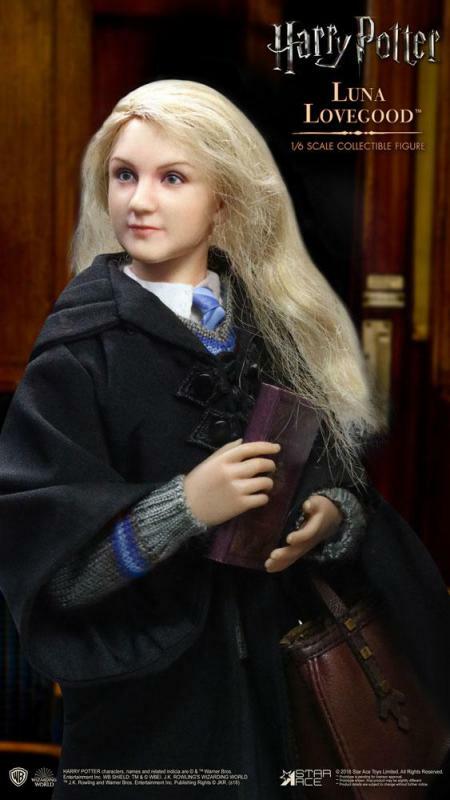 - Each head sculpt is specially hand-painted with rooted hair. 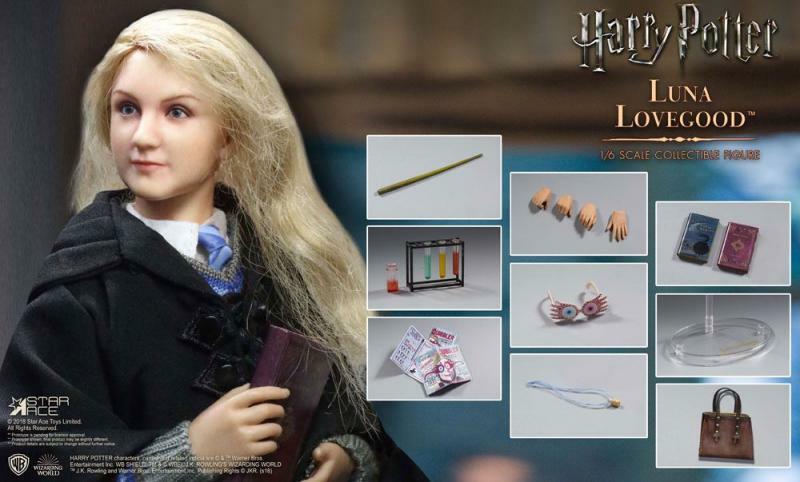 PARTS: Four (4) hands interchangeable including: - (1) one pair of open hands - (1) one right hand for holding her wand - (1) one right hand for holding her test-tube, and glasses COSTUME: - White shirt - Striped tie - School uniform dress - Ravenclaw knitted pattern sweater - Ravenclaw black wizard s robes - Black socks - Black shoes ACCESSORIES: - Three (3) test tubes - One (1) Test tube rack - One (1) Polyjuice potion bottle - One (1) pair of Dirigible plum earrings - One (1) Butterbeer cork necklace - One (1) pair Spectrespecs - One (1) wand - One (1) issues of the Quibbler - One (1) School bag - Figure Stand.